This is the ‘mini’ version of the legendary Kelvin Led table lamp designed by Antonio Citterio. 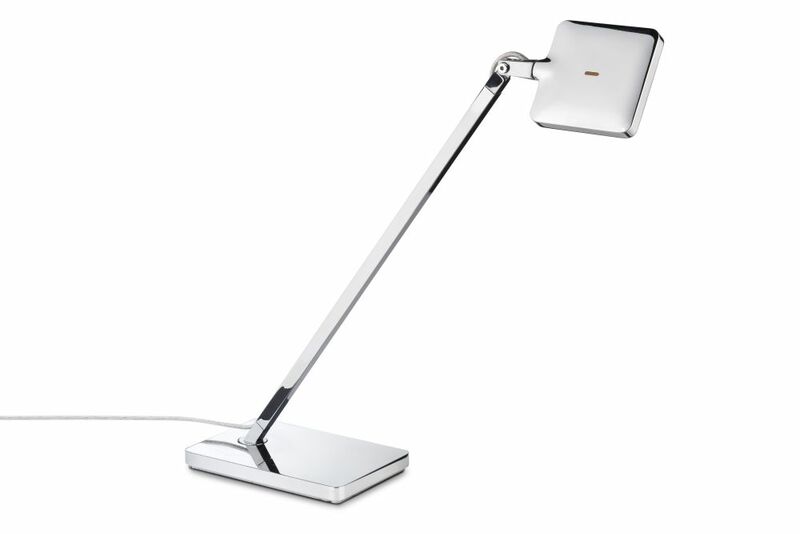 This is the ‘mini’ version of the legendary Kelvin Led table lamp designed by Antonio Citterio. The excellence embodied by the Led technology enclosed in the head of the traditional model has been relocated on a simple, compact body. 30 LEDs combined with a special chemically-etched diffuser provide a warm, soft, comfortable light, with no strong contrasts or dazzling. A special optical sensor is used to switch the lamp on/off and to adjust the brightness.